Everyone knows that working in an office means meeting all types of people. One of the easiest ways to see what your co-workers are like is by watching them around food. Are you going to be the pal who saves you some pizza when you’re stuck in a long meeting? Or will they take the last doughnut and then pretend to be sick so they don’t have to share? These 8 are just some of the people you’ll definitely meet around your office kitchen. All they appear to eat are green smoothies and carrots. How they have the energy to insult the food you eat all day long is beyond you. Five helpings of the weekly free lunch and they’re hungry again by 2 p.m. You’d be more annoyed if you weren’t impressed. Not a day goes by when this person does not talk about how the office is ALWAYS out of their favorite snacks and NO ONE else likes it so they have to suffer through all of the other snacks, like it’s the worst thing that has ever happened ever. This person is always going back and forth between their desk and the kitchen to check if the snacks have been refilled, if lunch has arrived, if the coffee machine is fixed. They probably don’t ever need to do any other cardio all day. You’ll see this person “sneakily” pull a bag of chips out of their desk that you 100% know are not stocked in the kitchen. If you walk by at just the right time you can see the drawers full of stuff they’ve tucked away to pull out at the exact moment you’re wishing you had some. This person is so “forgetful” that they never have lunch and never remember to go grab a snack before the office runs out. Their solution? To passively aggressively guilt you into giving them stuff. They’ve promised to “get you back tomorrow” for six months. This person is way too good for any of the snacks stocked in the office, and makes sure that everyone always knows it. They bring their own food every day that looks like something out of Food & Wine, and look at your ham and Swiss sandwich like it crawled out of the Black Lagoon. You’ve never actually seen them eat. They always leave the office for lunch and never seem to need a snack mid-morning or mid-afternoon. They might be a vampire? 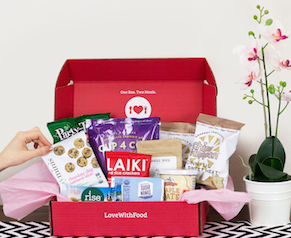 Take the work out of office snacks with Love With Food’s office box! 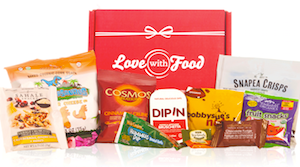 Delicious, all-natural snacks everyone will love in packages everyone can share!